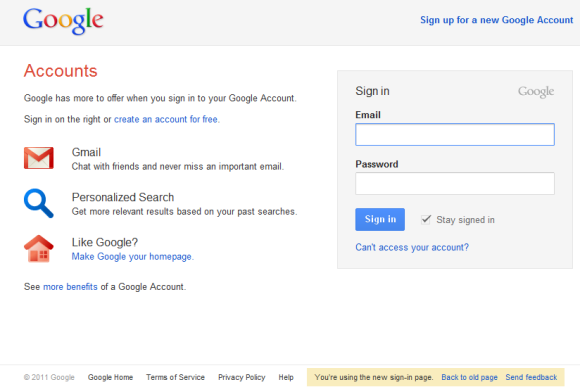 It’s probably the first time when Google tests a new sign-in page by asking users to try it. If you go to Gmail and you aren’t logged in, you should see a message at the bottom of the page: “Coming soon: A new sign-in page! 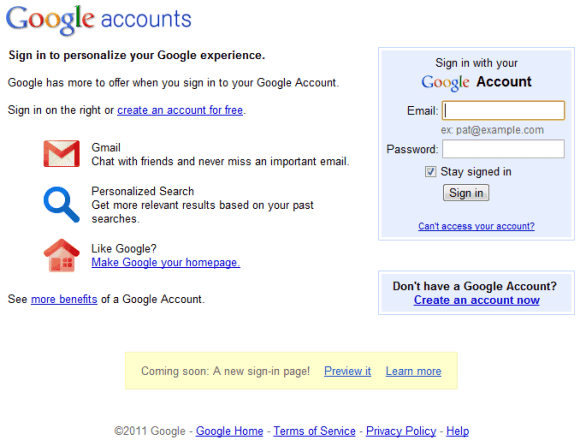 Preview it.” When you click “Preview it”, you’ll see a new sign-in page that uses the Google+ design. If you opt-in to the new interface, the sign-in pages for Google Docs, Google Reader and all the other Google services will also change. “For a limited time, you can switch back to the old version of the sign-in page by clicking the link at the bottom of the page. 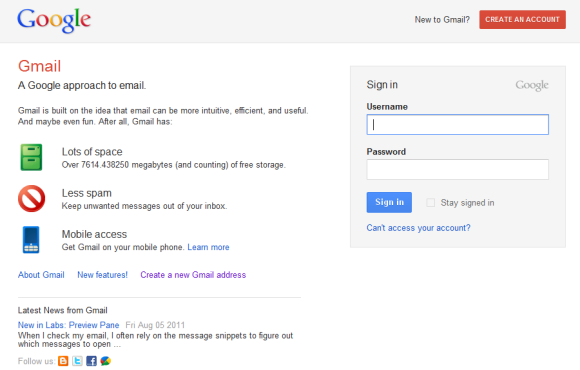 However, eventually this change will be permanent and you will not be able to switch to the old look,” informs Google. The new input boxes are a lot bigger: you can type 31 characters in the username box and they’re still visible. In the old interface, only 20 characters from the username were visible at a time.